Parris Glendening, former two-term governor of Maryland and ASPA executive advisor. where he works with elected leaders across the nation to understand and adopt policies to rebuild state and local economies and help communities grow smarter. 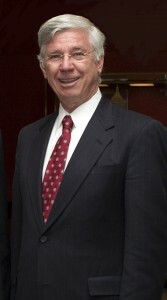 Honoring Glendening as a public official of the year in 2000, Governing magazine called his second term “one of the most productive periods of legislative achievement recorded by any Maryland governor.” The centerpiece was Smart Growth, a groundbreaking initiative in which he focused on using the state’s $23 billion budget as an incentive for smart growth. Glendening was a local elected official for more than two decades, first as city councilman in Hyattsville, Maryland, and then as member of the Prince George’s County Council and a former faculty member at the University of Maryland College Park. He held the county executive post for three consecutive terms. 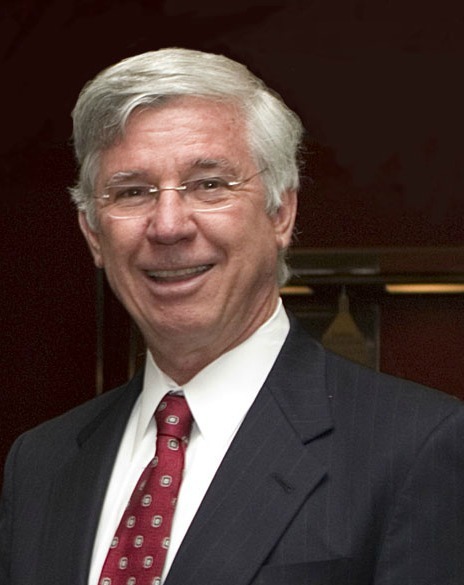 A longtime ASPA member, he has served as ASPA’s executive advisor. What inspired you to enter public service? Unlike many other wonderful responses to this question, I was not born with a love of public service, nor did I have an “A-ha!” moment of inspiration. My passion for public service evolved over the years. It started through my love of politics. I saw very good candidates lose to clearly less qualified opponents because of ineffective campaigns. I saw similar outcomes in presidential administrations, as with Kennedy vs. Johnson or Carter vs. Reagan. It all came down to effectiveness. As a young county council member, and then county executive, I observed the same thing among my professional staff. Some managers were very effective. They had clear visions of what their job was, empowered others to do their work, sought real results, and held themselves and others accountable. There were others, candidly, who seemed more focused on the position they held, the status and salary that went with it, their personal visibility, and the constant effort to move up. Effectiveness in their current position seemed a secondary concern. The more I understood this difference and sought out and appointed really effective managers, the more I developed a deep respect and love for public service. I realized it is not enough to just win elective office and propose changes or broad new ideas; you must be really good at effectively implementing them. My respect, even awe, for those who did that well grew over the years, as did my understanding of what public service meant to me. This was the basis of my evolution from a primary political view of public life to a passionate love of and respect for public service. It has given birth to two of my favorite statements: Elections have consequences. And, policy matters. To do each well is, I believe, the heart of public service. What do you consider to be your single greatest accomplishment as Maryland governor? Most reviews of my terms as governor of Maryland have focused on the creation of the first statewide smart growth program, and on work to protect the environment, especially the Chesapeake Bay, as well as successful investments in higher education. While I am proud of all of these efforts, I believe my single greatest accomplishment was making the state government far more diverse. Growing up in a segregated southern state—Florida—and then being elected county executive in extraordinarily diverse Prince George’s County, Maryland, where a majority of the population was minority, I became very sensitive to diversity, or even more pointedly to the lack of diversity in much of Maryland’s government. So many state agencies were disproportionately white and most of the top management positions were male; this in one of the most diverse and progressive states in the country. We were able to change the entire discussion from seeing diversity as a “problem” that needed to be “managed” to one about embracing diversity and recognizing its strength. Repeatedly, I challenged our citizens to celebrate our diversity. We did so not only by appointing qualified men and women of all races to key positions throughout the government, but also by changing the very process of recruitment, hiring and promotion. One quick example of how we made those changes: Maryland uses a judicial nominating commission approach to send names of potential appointees to the courts to the governor. When I asked why we had so few women or minorities serving as judges, I was told, “No qualified women or minority candidates could be found” in much of the state. The nominating commission itself was overwhelmingly made up of white males, often referred to as the “courthouse old boy network.” These gatekeepers simply did not know what was on the other side of the gate. By executive order, we changed the commission to reflect the diversity of the state with dramatic results. There were only 36 women judges statewide when I took office. We were able to appoint an additional 53 women to the bench and elevated thirteen to higher courts. This included the first Hispanic and first Asian-Pacific judges in a judicial system that is more than 300 years old. That is what meaningful change looks like and why I am so proud of our accomplishments in diversity. You have been an ASPA member for more than 20 years. What does ASPA mean to you? I have had the very good fortune to have three distinct professional experiences: 27 years on the faculty at the University of Maryland, College Park; 31 years in elected office; and now 12 years with a national non-profit environmental advocacy and think tank organization. At each stage of my career, ASPA has been very important. As a young faculty member, I actively participated in many of the academic programs, presenting papers at the national conferences, serving on committees, working with the state Chapter and the like. As I moved up the political ladder, I became much less personally active, but still read eagerly the publications to keep up with many of the changes and innovations in the practice of public administration. Now as president of Smart Growth America’s Leadership Institute, I have become active once again in ASPA and enjoy both the academic and practitioner sides of the organization. ASPA has existed as a place where scholars and practitioners, like yourself, meet to exchange ideas. As a former educator and elected official, how important is it for researchers and administrators to collaborate? Building on the prior answer, as my career shifted from academic to practitioner, my focus shifted, as well. Early on, I was almost exclusively interested in the academic side of ASPA. Later, the focus became almost exclusively on the practitioners and real work information that would help me as the head of very large organizations at the county and state levels for 20 years. Only in recent years have I learned to appreciate how important each perspective is. Twice during the recent Annual Conference in Chicago, I found myself engaged in interesting and, in one case fairly deep, conversations only to realize afterward that I was not certain if the person with whom I was having the discussion was primarily a scholar or a practitioner. This was an important moment of professional development and collaboration that shows the real strength and potential of ASPA. During your second term as governor, you took a big step in changing the focus of the state budget to address improper land use and development. This was a major shift in how state budgets have been conceived. How were you able to build accountability and ensure transparency as part of this shift? When I took office, sprawling land use was eating up our valuable open space. Residents were forced to live farther and farther from their jobs, burdening individual budgets and costing local governments more in upkeep and expansion, not to mention what we were doing to our farmlands, forests and the vital Chesapeake Bay watershed. In 1997, we signed the Smart Growth and Neighborhood Conservation Initiative into law, effectively changing the rules of the game in a state where, as was the case in many states, we had been subsidizing sprawl. We began focusing investment where it made sense: in the core of our downtowns and existing communities. The Smart Growth program, which became a national model for a different way of financing development, made it easier to permanently protect undeveloped land, and to redevelop the historic buildings often left vacant and underutilized in our town centers. Harriet Tregoning, a leader in the field of urban planning and smart growth, played an instrumental role as the first secretary for smart growth in the nation. In this role, she oversaw the 15-member smart growth subcabinet responsible for successful implementation of the legislation through coordination of key smart growth initiatives for revitalized neighborhoods, historic preservation, increased transit and transit-oriented development, walkable communities and open space preservation. The bottom line is that each budget was reviewed for whether it supported sprawl or whether it promoted investment in existing communities. Putting policy into practice—for example, by choosing to locate a University of Maryland satellite building in downtown Hagerstown instead of at a remote greenfield location—demonstrated the benefit of smart growth decision making on a city’s bottom line. The UMD center filled a vacant property in Hagerstown, starting a tradition of investing in downtown that has continued to this day, as the city and local governments across the state continue to see the value in focusing on infill and the redevelopment of existing buildings in our core communities. As governor, you introduced an initiative called Managing for Results that aimed to integrate the budget process with agency performance and results. Many agree that this was a precursor to major performance measurement initiatives now in place. At the time, it was quite a shift. Why did you think this change was important? In candor, Managing for Results was largely a staff-driven approach. We had some experience managing for departmental policy implementation with the smart growth initiative. Fortunately, we had assembled an excellent professional staff led by chief of staff Major Riddick, who kept up with innovations elsewhere. The staff recommended we start Managing for Results in several departments, which we did with excellent results. My successor, Governor Martin O’Malley, took the approach to a higher level by combining it with data analysis of policy outcomes, which he implemented when he was mayor of Baltimore (City Stat) and later brought to the state, first to measure the effectiveness of efforts to protect the Chesapeake Bay (Bay Stat) and then for overall management of state government (State Stat). The country and government globally are experiencing historic lows in public trust. What do you think can be done to turn around these attitudes? The very low standing in public trust toward most of the pubic sector is a result of the current harsh partisan political tone, the impact of unlimited and undisclosed dollars into campaigns and the deliberate focus on certain divisive policy issues to avoid discussing what most Americans really expect from their governments. To change citizens’ attitudes, we must focus on communication, the language of politics and policy, and the link between good government and the quality of life desired. I witnessed an example of this at a recent political event by a local county council member, Chris Trumbauer. He was explaining to a fairly large audience that he might need to vote for higher taxes. He went on to make the link between that action and what the county was trying to do to improve the community college, invest in K-12 education and protect the environment, especially the Chesapeake Bay. He was very explicit: “Without sufficient revenues we will not be able to do these things.” It was clear that he received support from many people at that event for his transparent approach; even those who did not agree understood and appreciated his frankness. To regain the trust of our citizens, elected and administrative officials must make the link among revenues, policy impacts and quality of life. Attention must be paid to the language of this dialogue with the public. The public must perceive a government that is honest, transparent and effective. Interest among the younger generation to work with government remains high. But, in many cases, young people do not remain very long with government. Why do you think this is so? How can we change it? The younger generation—the Millennials—is very much moved by the vision of a better world. This leads, as it has for generations, to a desire to enter public service. The big difference is that the Millennial generation appears to be much more mobile in their jobs, both in the public and private sectors. Three to five years in one job is a long time for a 27-year old. This is in sharp contrast to earlier generations spending an entire career working in one government agency. The solution may well be to focus on changing the procedures for public sector employment, rather than to try to change the habits of millions of young people. To have an employee move from one agency to another, or even in and out of the private or non-profit sectors, may actually be a strength to be captured rather than to be feared. Changes in the recruitment process, evaluations, more horizontal than vertical communications, use of social media communication and information systems, and more mobile and flexible retirement systems, to name just a few, will help bring the “best and brightest” to public service.